modlandUSA: Enclosed Like a Mall! Been having writer’s block lately…have you noticed? Started at least five new articles and felt oh so uninspired after blasting out about 100 words each time. Sigh. 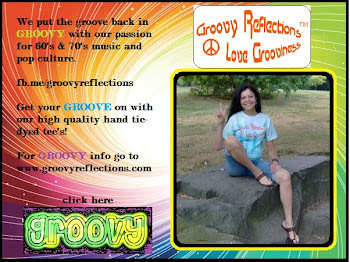 This morning I received an email from a friend with a link to a site with all things Paramus New Jersey. That town, near where I grew up, was a mecca for shopping (still is). The photos and pics of old postcards on the link brought back a lot of memories: Christmas shopping running store to store wearing a heavy coat, getting sick on white chocolate outside of Stern’s department store, buying dinner plates for a buck apiece at Newberry’s, strolling the over-the-highway walkway (skyway) from the Bergen Mall to E J Korvettes, and browsing through Arcadian Gardens (a huge garden shop in Garden State Plaza, long gone). The two malls I frequented as a child were “open air” malls. A downtown destination of sorts with wide sidewalks and shops on either side. That concept lives on in warmer places like Southern California today. In New Jersey, open air worked fine for about eight months out of the year and the stores likely lost sales in the winter when folks decided it wasn’t worth the drive out to Paramus when they could freeze their buns off more locally instead. 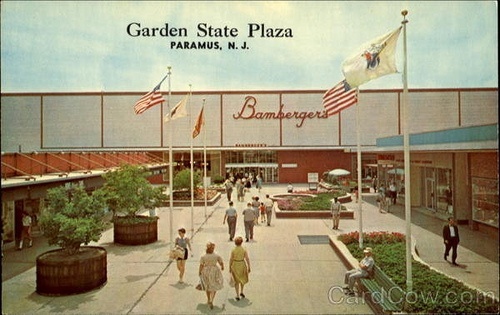 In 1974 Paramus Park Mall opened and it was enclosed. New competition in comfortable temperatures all year round! 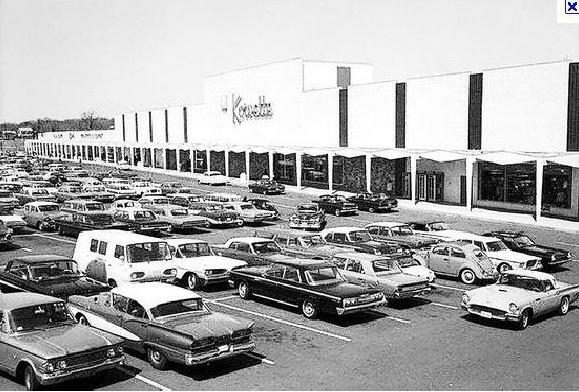 Perhaps knowing of a new mall's forthcoming caused Bergen Mall's owners to enclose the center in 1973 (see pic below). The trend: Shoppers were being “contained” and closed in! Much like the feeling of being stifled we have sometimes when it comes to creativity and generating new ideas. ...think about it! Nowadays, we’re spending more times indoors and finding inspiration on the internet! Some of us don’t even leave the house on some days (guilty as charged since I have a home office). 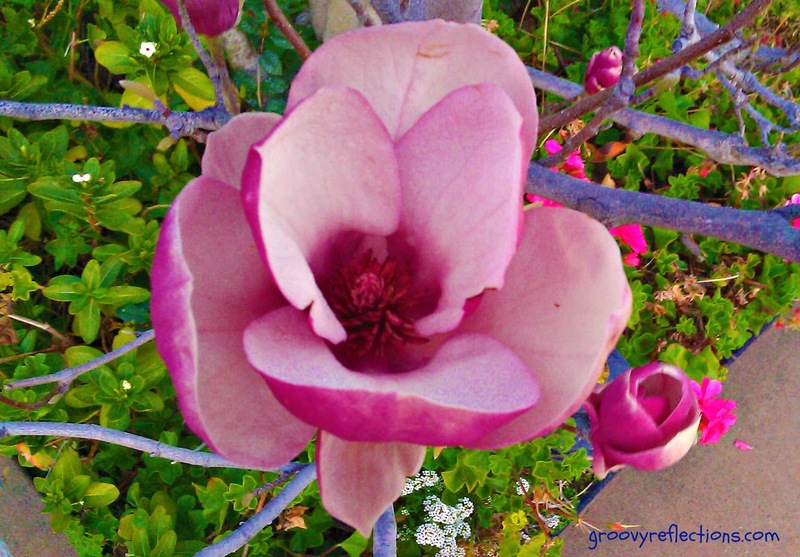 Whatever happened to trees, flowers, and expansion of the mind? The great outdoors, whether it’s nature’s beauty or a jammed freeway (highway) all have something to springboard a new thought or idea. That bumper sticker on the car in front of you, the beauty of a road heading toward the mountains with no one in sight, or that silly advertisement in the window of the 7/11; it’s all out there. And yet, we sit at computers all day and if we have to go shopping it’s an “inside” job; from the house into the car, from the car into the homogenized mall. Or, on the internet! You get the idea. Where’s the fresh air? On that note, I’m stepping outside for a while. While out on casual walks I do get a lot of great ideas and let my mind wander looking at pretty things! I photograph some of them too. Something to think about: Don't let yourself get closed in! Three Dog Night found a quiet place, outside the human race in their song from the early 70’s. 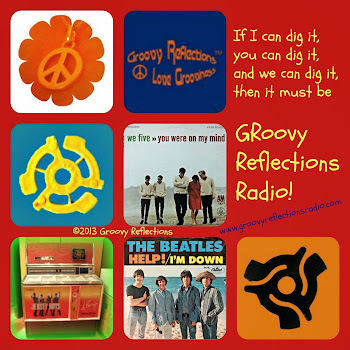 Here’s hoping that you stop by our website, or on Twitter, Facebook, or Google+ and enjoy a little noise sometime too! Photos are from http://www.paramusspartans.net ...so wonderful that they have such a nice collection of photos there! Spot on Gerry. I need to get out more too! Bannerizer makes it easy for you to promote ClickBank products by banners, simply go to Bannerizer, and get the banner codes for your selected ClickBank products or use the Universal ClickBank Banner Rotator to promote all of the ClickBank products.